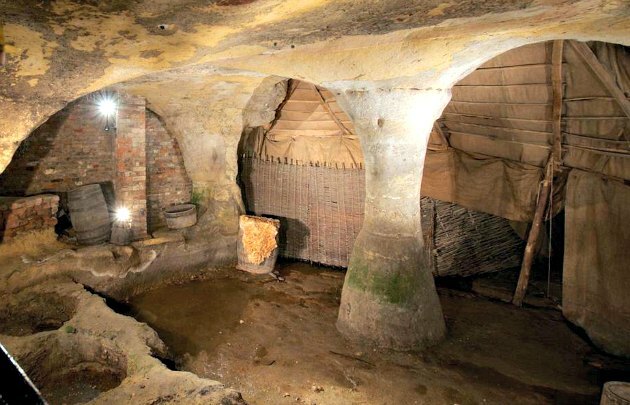 The City of Caves attraction in Nottingham is based on the many caves which still exist under the city. In times gone by, the caves were used for both living in and for primitive industry. The most startling thing about a visit here though is the contrast from the 1970’s Broadmarsh shopping centre above! There is a new entrance at the rear of the shopping centre whilst redevelopment work takes place. Once you’ve paid the admission fee and start to head down the stairs, it’s obvious you are in a very different world to the city-centre streets around you. Many of Nottingham’s caves are linked together and this complex is one of the largest networks in the city. 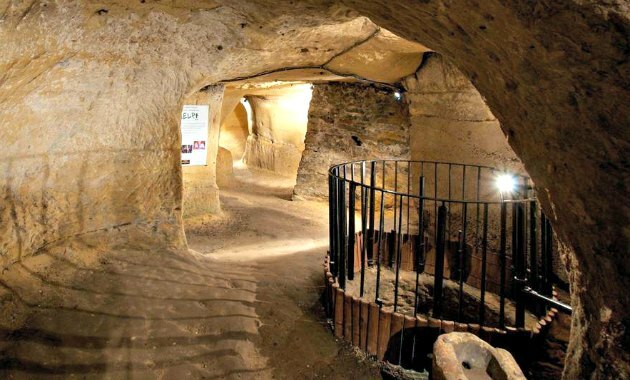 As you wind around the passageways under Drury Hill, you’ll see the medieval tannery (pictured above), the old well (pictured below) which is still full of water and other exhibits which show how the caves have been used over the years. Nottingham is built on soft sandstone and the water courses running through the rocks created many of the caves that you see today. Others were carved out by hand. 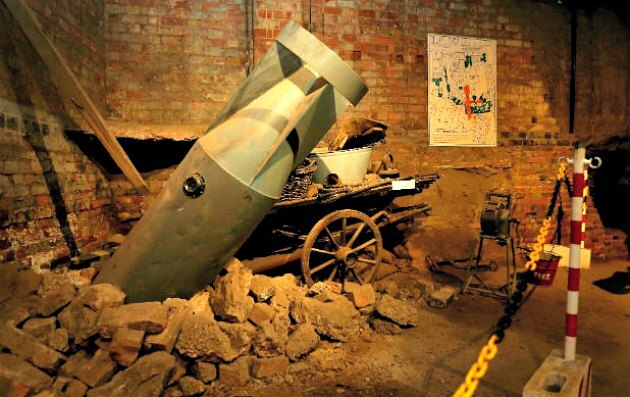 One significant use was during WW2 when the caves in the city became a refuge from air raids. The attraction has a small area dedicated to this use behind the old tannery. 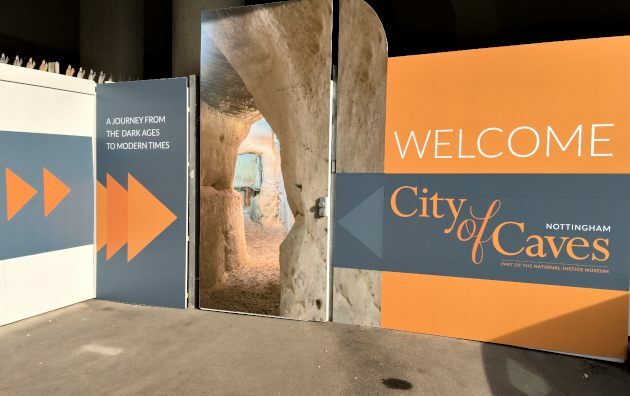 The City of Caves runs audio tours from Monday to Friday 10.30am to 5pm and actor led tours at the weekends starting at 10.30am with the last tour at 4pm. Adult admission is £7.95 (2017 prices) but you can save money by buying a joint ticket with the sister attraction of the National Justice Museum.